Security certificate like SSL help safeguard any websites from hackers who might deliberately dig into customer’s confidential information. 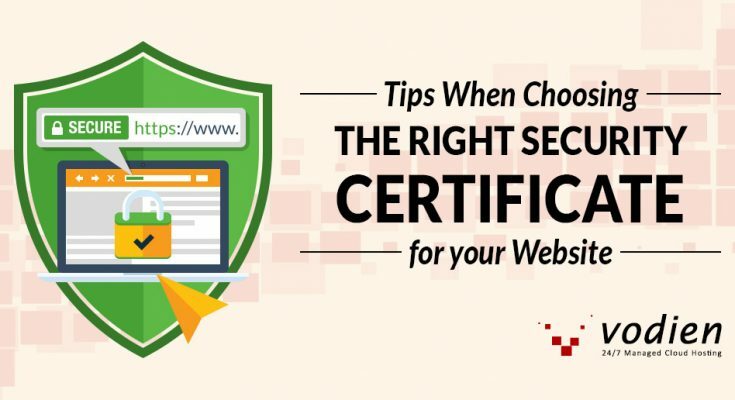 So choosing the right SSL certificate is not only an afterthought but a must to instill trust and confidence on your website. Trick people into intentionally (or unintentionally) give out their private information to sustain their fraudulent activities. Use phoney links that direct visitors to fake sites made to appear like the one they usually use. Inject malware to a computer or network to sabotage computer operations, display unauthorised ads or gain access to sensitive information. While most current security software became more advanced, businesses shouldn’t be complacent as far as website security is concerned. It doesn’t matter what the size of your business is. What matters is that your customers expect you to maintain the privacy and security of their personal information each time they visit your site. 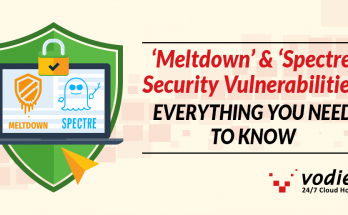 We’ve mentioned in our past article some other tips to protect your site from cyber attacks. 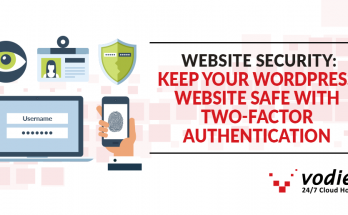 Our stand still hasn’t changed–we believe that using the right security certificate is one of the crucial components to website security. Not only will it shield your site from prying eyes, it can also build up trust and increase your Google rankings. So how can your provide a high level of trust and confidence from your visitors? By having SSL certificate, you offer customers a visual proof that your company is trustworthy and that all online transactions remain private and protected. A Secure Socket Layer or SSL works by encrypting data as it is transmitted through the Internet between your site’s web server and your customers’ web browsers. When customers enter their information such as email addresses, passwords or credit card details, these data travel through several network or servers before it reaches its intended destination. When the connection is not encrypted, hackers seize this opportunity to act upon their fraudulent activities by snooping on the connection. Read also: Do I Need to Have an SSL Certificate on my Website? The web browser starts by requesting the certificate. As soon as it receives and confirms this, it produces a code known as the master key, then encrypts the connection using the public key connected to the certificate. Then, it forwards the encrypted master key back to the website’s server. Since the web server has the private key under the public key, it has the ability to decrypt the master key. The latter is used to authenticate the message that is sent back to the visitor. The virtual ‘handshake’ has been completed and the two parties can now engage in a secure session. What does a Certificate Authority (CA) do? A Certificate Authority or CA is a trusted organisation that issues digital certificates that verifies a client’s online identity. Digital certificates like SSL plays an integral part in the public key infrastructure (PKI). You can tell who issued the digital certificate by simply clicking on the padlock symbol on the address bar on top beside the website’s URL. A security certificate works on both private and public keys. 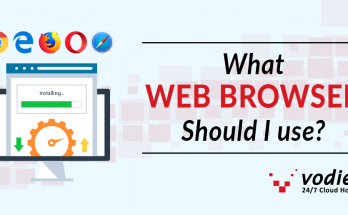 It is used to maintain a secure connection between the visitor’s browser and the site’s servers. It certifies that the signed public key linked to that website belongs to the website’s owner. Using its own private key, the Certificate Authority signs the public key, hence, the credibility of a CA adds more impact to the reliability of the private keys they certify. To know what SSL certificate is right for your site, here are five different types of SSL certificate you should take note of. DVs provide an industry standard encryption with less paperwork compared to other types of SSLs. This is ideal when validating and securing low-volume websites, personal blogs and Facebook apps. it can be issued in a few minutes since the CA only needs to validate that you are the owner of the domain you want to secure. Due to its simplicity, DV certificates are among the most affordable security certificates you can find. Below is an example of a Domain Validated Certificate. 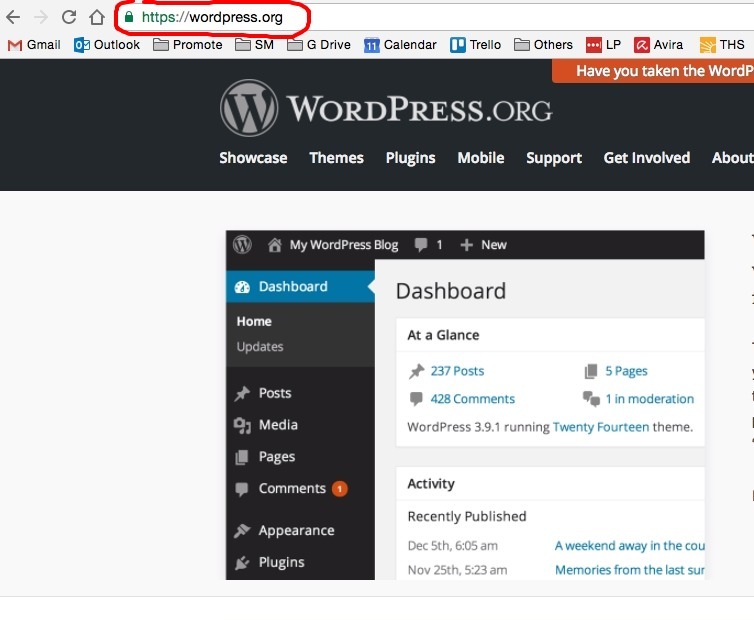 Notice that on the address bar, there’s a green padlock followed with ‘https’ right before the website address: www.wordpress.org. This means that your connection with this website is secure and private. To understand what HTTPS is in full, check out this article: 7 Reasons to Convert to an HTTPS Website Today. Organization Validation certificates are issued to companies or organisation recognised by the government’s business registry as a legitimate business. The activation process is not that long and normally takes 1-3 business days to complete. OV certificates have a number of trust indicators but you won’t see the green address bar. This helps provide security and privacy for customers but may not have the budget for an Extended Validation Certificates (EV). This is especially useful for e-commerce sites that process high-value online transactions. When it comes to encrypting data, EV certificates sets the security a bar higher. Aside from the industry grade 2048-bit encryption, On the address bar, Extended Validation certificates shows the full company name and the green padlock bar–a veritable sign of trust and authenticity for websites. It takes a couple of days to weeks to issue this certificate due to the–you guessed it–extended validation process done by the CA. The validation involves verifying the domain ownership and documentation about the company’s legal existence. Companies like Amazon, PayPal and Etsy are just a few high-traffic sites that use Extended Validation certificates. How to determine if a website has an Extended Validation Certificate? Let’s try this. Again, go to Vodien website. On the top left side of the address bar, you’ll see the green padlock icon, the company name and the ‘https’ website address. This means this website is secured by an Extended Validation Certificate. 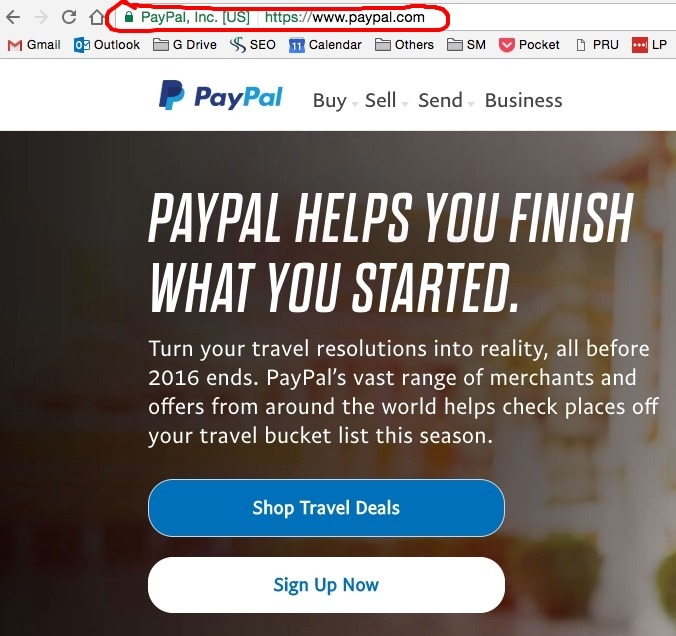 When you click on the green padlock with the green text ‘PayPal, Inc. [US]’, it will show more details about the SSL certificate: the Certificate Authority who issued it, type of SSL certificate and expiration date. EV stands for Extended Validation Certificate. For those who need to secure multiple domains, you can do so with a multi-domain certificate. It is a hassle-free way to secure domains because you don’t need to activate separate SSL certificates for each domain. You can secure up to 100 domains depending on what the certificate entails. The best thing about multi-domain certificate is that it is convenient to manage several domains with a single certificate. A Wildcard Certificate allows one to secure unlimited number of first-level subdomains from a single domain name with a single certificate. As an example, if ‘originaldomain.com’ is the main domain, then ‘forum.originaldomain.com’, ‘mail.originaldomain.com’ and other subdomain variations can be covered by a single wildcard certificate. Worries about possible website attacks is still and will always be one of the biggest motivation for websites to stay vigilant and innovative. There’s no telling on when the next cyber threat will be, as cyber criminals get more clever and severe with their methods every year. So it goes without saying that website owners need to keep security and privacy as their top priority. Installing the right security certificate helps control these fears, and gives customers more reasons for them to trust their online transaction with you. To help encrypt your customer’s sensitive information, Vodien now offers its premium SSL Certificate. Our top-tier SSL certificates are certified by Thawte, a Verisign subsidiary and the world’s leading Certificate Authority. Data is secured by up to 256-bits data encryption from the root level that authenticates and protects your site against domain spoofing and phishing. Also, if you have any enquiries on the different SSLs and are unsure of which one is most suitable for you, do not hesitate to contact us at +65 6288 6264 or email us at support@vodien.com. Don’t let customers fall victim to online threats. Secure your own SSL certificate today.